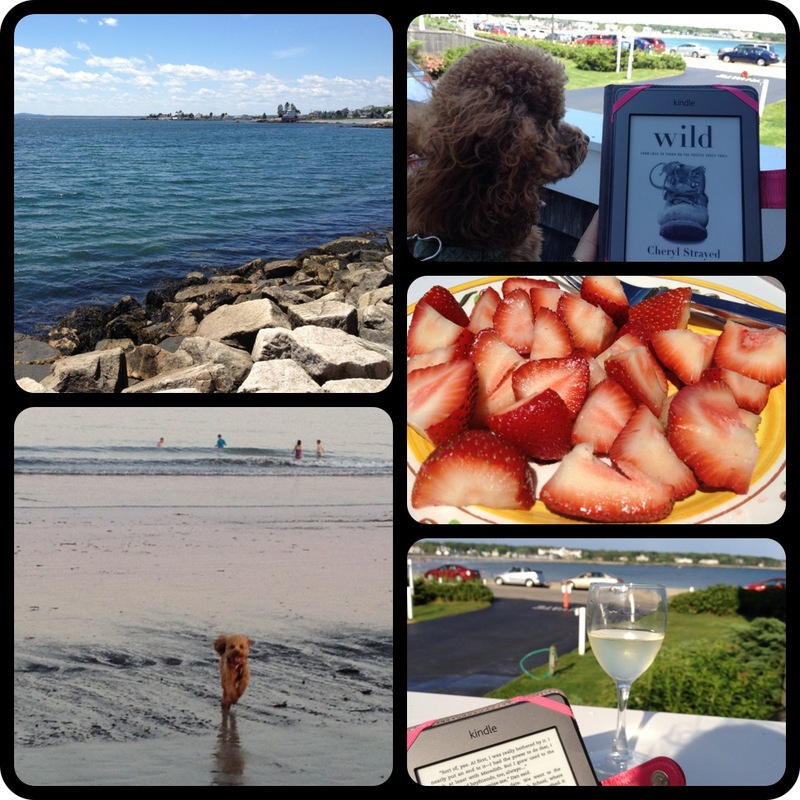 Teddy and I had a wonderful weekend in Kennebunkport! Most of the weekend was spent on the porch reading, and the rest of our time was spent out on the beach. On our first beach walk, Teddy met some of his old friends – George H.W. and Barbara Bush’s maltipoos, Bibi and Mini! We’ve run into Barbara Bush on the beach three times now. It’s always a bit exciting to play with the former President’s dogs! They live a couple miles down the road from Luke’s parent’s condo at their estate, Walker Point. George never walks on the beach, but Barbara loves to come out and talk a walk with her pups, even though she’s moving pretty slow these days. Teddy always runs up to her dogs and starts chasing them around. He actually loves to jump over them because they are smaller than he is! 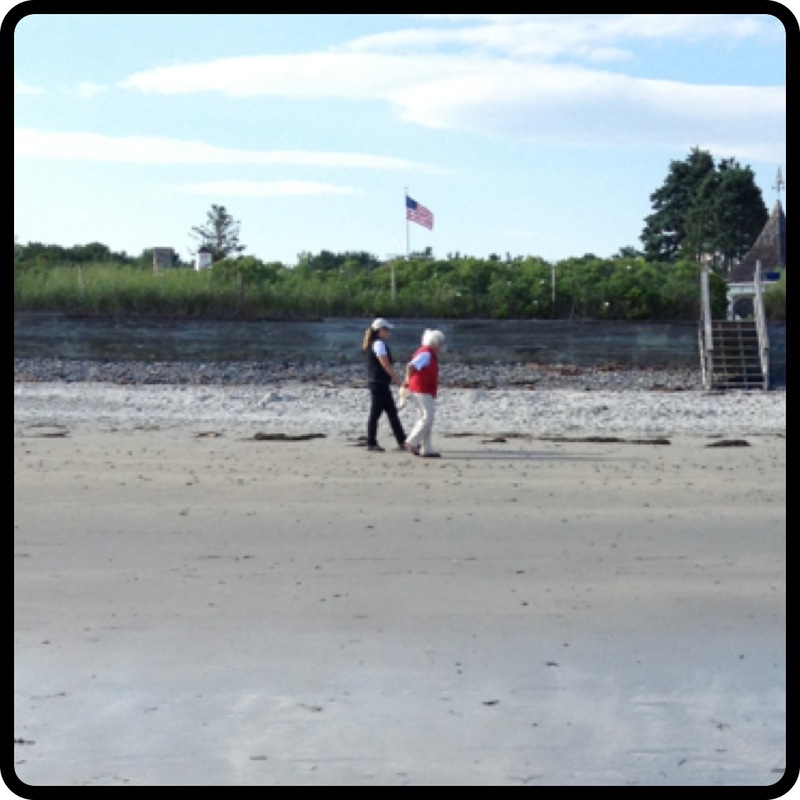 I never really know what to do when we see them and Teddy starts playing because, obviously, Mrs. Bush probably prefers to not be noticed on the beach (even though a secret service agent is always with her). 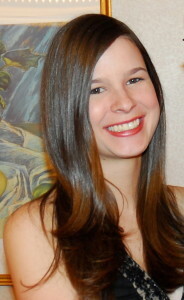 I’ve never acknowledged that I know who she is, I just make small talk with her about the dogs. When Luke and I first talked with her, we asked what kind of dogs she had and she responded, “maltipoos, or in other words, very expensive muts!” She also always remarks on how cute Teddy is. He likes to tell everyone that the First Lady thinks he’s handsome :). 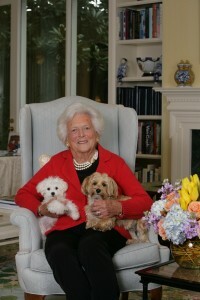 Mrs. Bush is a very sweet lady and so are her dogs! I’ve never taken a picture because I don’t want to be intrusive, but I did snap one after we walked away from afar (the dogs were too far ahead and got cut out of the pic!). I have a problem. I get into breakfast ruts. I could seriously eat the same thing for breakfast for years and be perfectly content. Overnight oats is pretty much always my breakfast of choice. I’ll have pancakes every now and then, a bagel here and there, but overnight oats have become my usual. In an effort to spice up my mornings at least a little bit, I’m always looking for new overnight oat flavor combinations. My latest concoction is Orange Creamsicle Overnight Oats! 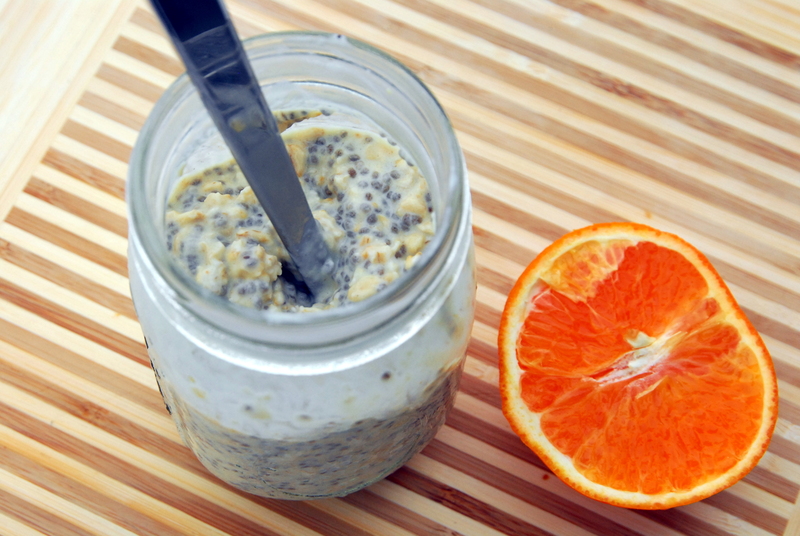 I don’t know why I never thought to add orange juice to my overnight oats before now. After the idea occurred to me, I realized that this new concoction might taste similar to the beloved orange creamsicle popsicle. It did! I made a few tweaks here and there to get the right balance of orange and vanilla, and I think I finally found it. To keep the orange creamsicle flavor, if you add a fruit, I’d suggest banana. Banana adds a little sweetness without overpowering the orange creamsicle flavor. I also think this would be fabulous topped with Love Grown Granola’s new Orangle Creamsicle flavored granola! Unfortunately, I haven’t been able to find it in stores. If I ever do, you bet I’ll be adding it as a topping! 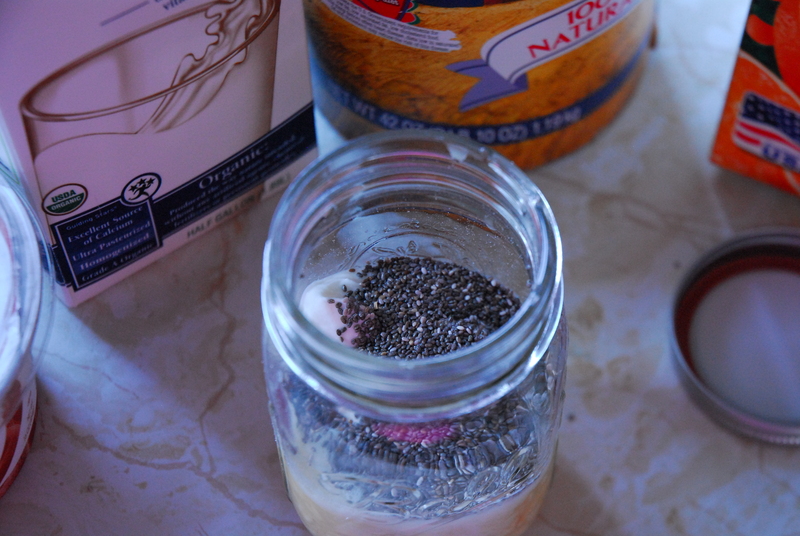 *Note: If you’re an overnight oat newbie, chia seeds are truly the key. They make everything the right consistency. You also have to make them a few times to figure out exactly how you like them. Some people will want to add a little more milk to make them more liquidy, and some people prefer them thicker. I prefer mine a little thicker. You can also always add a little extra milk in the morning. Like all overnight oats, they’re super simple to make! All you do is put all of the ingredients in a bowl or mason jar, stir, and cover. Refrigerate overnight. Stir ’em up again in the morning, add toppings of your choice (or none at all!) and enjoy! Mix all ingredients together in a bowl or a mason jar. Give them a good stir in the morning and enjoy! Feel free to top with fruit, nuts and/or granola. This entry was posted in Breakfast, Gluten-free, Overnight Oats, Recipes, Teddy and tagged breakfast, gluten-free, orange, overnight oats, teddy. Bookmark the permalink. That’s so crazy that you’ve seen Barbara multiple times! The beach looks beautiful too! Yum! Those sound great and so perfect for summer! I love orange creamsicle flavor! Polar seltzer in orange vanilla is my absolute favorite! I will have to try these oats! It’s one of my favorite flavors too – especially during the summer! Oh wow, that’s got to be so crazy to run into Mrs. Bush on a semi-regular occasion. You seem to handle it so well! I’ve apparently run into several NBA players (one of those was literal – face first into his shoulder!) but had no idea who they were until whoever I was with told me. Haha I’d do the same thing I’m sure. I don’t think most people on the beach recognize Barbara Bush either. oh my goodness! Teddy’s friends with the former President’s dogs? Get out! Boy, he’s got some serious connections, doesn’t he? hehe..I love Teddy! I wish he and Kona can play together sometime too ;). I’m like you..I don’t mind eating the same bfast over and over again! I love overnight oats, and I look forward to trying this :). okay, I’m going to get serious about trying overnight oats this week. I keep forgetting to buy oats, but I’ll put them on the list for tomorrow! I am going to give your oats recipe a try. Love orange creamsicles! Shay @ Whine Less, Breathe More recently posted..My First Vlog Post! 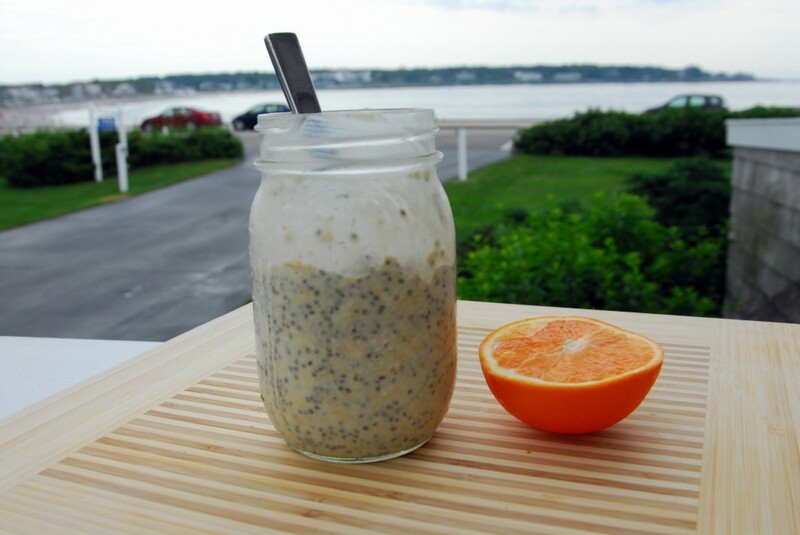 Pingback: 10 Super Easy Recipes for Overnight Oats | Got Writer's Blog?